Is anyone researching this trooper? Herbert Samuel Kerley was born on 7 Jan 1896( or 1897) at Bute, South Australia. He enlisted on 16 Jan 1916 and was discharged on 30 September 1919. He enlisted twice in WW2, first as S212937 Pte in 18th Garrison Battalion ( from 8 July 1940 until 9 March 1941), then as SX11703 L/Cpl in 4th Aust Reserve Motor Transport Company from 8 March 1941 to 5 September 1947. Quite a story. In WW1 he got into a bit of trouble ( his service record has details). In WW2 he was captured by the Japanese and held in Thailand (Burma Railway? )as a POW from April 1942 until October 1945. He died in South Australia on 11 April 1971. I have his original discharge papers for all three stints of service and uniformed photos of him in both WW1 and WW2. 9th Light Horse Regiment War Diary – No. 2752 Trooper HS Kerley tried by FGCM. 2 mounted troops patrolled Zagazig 0930 - 1130 reporting all quiet. And that's it. If he came home in September 1919, he sounds like he pulled a few months imprisonment, hard labour for his pains after this court martial. I am interested in the detail - I am just wondering if you have that detail digitised and if so, could you send me a copy? Don't worry about the Trouble he got into as the sentences in both cases were low and did not invole any major imprisonment. I've seen a lot longer and loss of medals for the second crime he was convitted of. The reason he embarked for home so late? was that he spent over three months in hospital suffering from the effects of Malaria. He embarked around the same time as most LH Men, if fact earlier then the men of the 14th and 15th LHR's. The two numbers for the second war are his first enlistment in the AMF (Australian military forces) and then he (all AMF soldiers) had to reenlist in the 2nd AIF (SX number) to go overseas. Can you clear up some thing for me. A relation? William Gordon Kerley is shown enlisting and embarking with him. William's NOK is his father William Kerley from Bute SA almost the same for Herbert who's NOK were his Mother and father Annie and Herbert Kerley from Bute SA. Are they cousin's per chance? I will scan photos and discharge certs and send to you. His record is digital at archives ( Bar code 7363775). Looks like he only got pay deductions (42 days) for most serious offence of stealing a pair of the chaplain's trousers at Zagazig in March 1919. Also had medical problems as Steve mentioned. 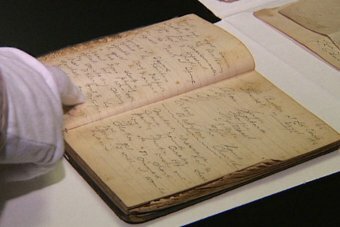 In 1917 he faced two charges, AWOL and defacing a pay book with intent to defraud. A bit of a checkered history ! Have just received hard copy of his WW2 file, which I can send you as well. Despite his problems in WW1 he suffered under the Japanese as a POW, which nobody deserved. Yes I agree, the charges were not as serious as some and there are two sides to the story. I had a look at William Gordon Kerley's record and yes it seems that there maybe a connection (cousins?) but I cannot be certain. Don't know how big Bute is but there may be some local history which could assist. I did see that they were only a few years apart in age on enlistment and had consecutive service numbers, joining within a couple of weeks of each other. He did well to survive as a POW in WW2 as he was in his late 40's when captured and had previously suffered illness in WW1. By the way is there a history of the 9th Light Horse written ? Thanx for the email and note on the forum. I have sent you an email with greater detail. If the service record is online then no worries about sending anything. I will refer to that document. Now some background about Bute in South Australia. It is a cosy little town nestled between the copper triangle and the Iron Triangle - two very large industrial areas. now the copper mines are no longer operational the towns of Kadina, Moonta and Wallaroo survive on agriculture and tourism. Up the road from Bute is Port Broughton which in its heyday was a large port for exporting agricultural products. Its magnificent jetty is now only used for fishing. Bute is halfway between Port Wakefield and Port Broughton. It was never a big town and still remains that way today, a comfortable settlement of a few hundred people who mainly service the rural properties in the near locality. Since you guys have little South Australian history in you, the Kerley family is quite a legendary working class name. The last Kerley to make a name for himself coached Port Adelaide - go the mighty maggies - in the South Australian Football League - to a few Grand Finals. He was also quite a good footballer although not above dealing out a bit of biffo on the paddock. The members of the family - and they are all related - all seem to create their own piece of working class legendary behaviour. When I read about Billy Kerley's exploits witht he Chaplain's strides, that struck home as an authentic Kerley type wag. He sounds like a top sort of fellow - always good for a laugh and a beer but serious about sticking with his mates. As I have gone through the Routine Orders of the 9th Light Horse Regiment, one thing that struck me was the continuous chain of wags in the Regiment. There was a party of farriers who went to Jerusalem with a group under the charge of an officer - the only way these guys could get into town - and when they arrived, at a suitable moment got lost from the party. So these young lads sought directions from a bar and a brothel so they could find their way home. The military police found them in a brothel sleeping off the effects of alcohol. They were duely charged and all lost their temporary ranks. The most revealing diary of these exploits comes from the official notices banning specific actions. They are usually accompanied by the incident that set off the ban. I am sure folks think I am crazy when they hear me chuckling over Routine orders. The 9th was filled with wags. They fought hard, rode hard and drank hard. Good luck to them. You wouldn't miss it for quids. Thanks for the history of Bute, I must admit that I had never heard of it before ( being an ignorant West Aussie !). I have heard of Neil Kerley ( we play a bit of footy over here as well) but only made the association in the last few days. I agree that the things these guys got up to would make great reading and after all can you blame them? The pardre's strides may well have had a larrikin element to it. I will grab your email and send the photos and discharge certs, but as you have access to the WW1 record will leave that out. Is there a 9th history written? Me ol' china, ya carnt pull that "I'm just an igorant Sandgroper" routine on me. I'm born and bred Sandgroper. Lived in Mount Pleasant for about 20 years, did a stint in the Murcheson goldfields at Meekatharra. While working there I did quite a bit of archeological digs around Big Bell, Reading and Day Dawn. I have always been intensely nosey and interested in finding out what lives in the next pasture - which is the essential ingredient for historical research. Wrote my first work in 1978 about SH Parker, one of the oligarchs who came from York. Indeed assisted in the restoration of Bridge House in York. Parker is the name behind the legal firm Parker and Parker, the biggy in Perth. So you could say I know a little bit about Sandgroper territory and visit at least once a year to see my folks. But I also lived in South Australia for 20 years and spent quite a bit of time on the Yorke Peninsular - where Bute is near - and the Eyres Peninsular, and specifically Tumby Bay, Louth Bay and Port Lincoln where my first wife's family all came from. It was her Grand Father that motivated me in putting down his story and as a consequence learn a great deal about the 9th Light Horse Regiment. This was only made possible since I have moved to Canberra a few years ago due to ready access to the primary source documents. 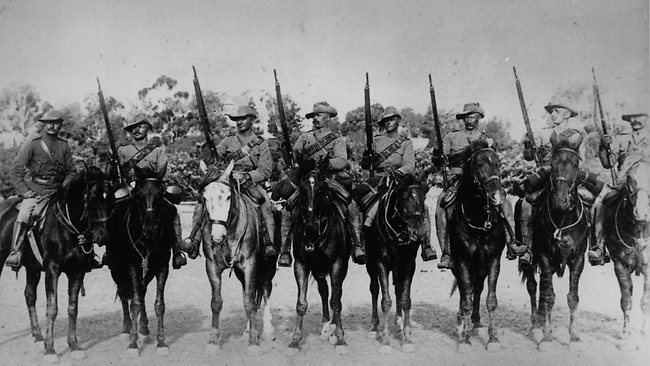 Now to your last question - is there a history of the 9th Light Horse Regiment written? "With the Ninth Light Horse in the Great War" by Thomas Henry Darley including a foreword by Sir Harry Chauvel. It was published in Adelaide by Hassell Press in 1924. It is 206 pages long. That is the official version. The reality is that Darley was the Regimental Quartermaster who put together this work by leaning profusely upon the source offered by the War Diary of the 9th Light Horse Regiment. Indeed his debt to the War Diary is the understated element in the work. Today we would be unkind to suggest that it was plagiarised but in more gentler days when these documents were official secrets and no one had access to them so the sources could be disguised and remain unacknowledged, one could say that it was the work of many hands though credited to one. It was only after the release of the records that these items could be examined and by that time, no one really cared. 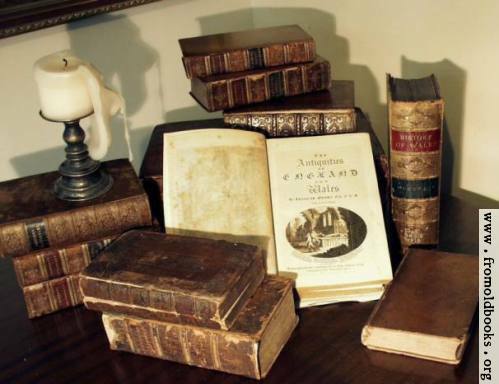 The book is an all rah rah British Raj affair which reflected the contemporary view that God was on the side of goodness which also happened to be the British side. So the story is full of all wonderful exploits which demonstrated that Australians were giants among men. No mention is made of drunkenness, lack of saluting, insulting British officers, taking off to brothels and making out with the girls in the various villages the Regiment entered. None of that. Indeed, by reading his book you would get the impression that all the soldiers were God fearing men on a crusade from God and hence not tainted by carnal desires. Purity in mind and purity in deed was the message from page 1 to 206. However, in so saying, don’t think I am ungrateful to old Tom. He did historians a favour by publishing his work. This produced a situation where we are relieved of the copyright burden which colours many other documents. The War Diaries have a perpetual copyright which is owned by the War Memorial. That is why you do not see any War Diaries published. While they remain unpublished, the copyright is retained. The minute they are published then the 50 year clock starts ticking. Had they been published at the end of the Great War, they would have been out of copyright now. Not only did Darley do us a favour – his book is out of copyright now – but so did Brigadier General Wilson do everyone a great favour by publishing his account of his war – it being a direct lift from the Brigade War Diary. He published this in Cairo in 1919 although Wilson lived on until 1947 from whence the 50 year clock began to tick. His work is now public domain and free of copyright. So too is Gullet. So you can feel free to use these works and copy great slabs of them if you feel so inclined. However, and this is the real question – is there a readable history of the 9th Light Horse Regiment that tells the story – warts and all – so the men come out sounding like men and so their story is all the more believable. Just ordinary blokes with all the ordinary failings doing great deeds together. That is truly awe inspiring. The answer is no. Maybe now is the time for someone to put up their hand to donate a couple years from their life to complete such a project. Pleased to hear that you have an A1 rating as far as heritage goes.Time in WA and SA so you have had the best of both worlds.Now I have even learnt more about my own state. Pity there is not a more down to earth volume on the 9th, sounds like there is enough material for it, unfortunately can't give you 2 years at the moment. I will post any further info I get on Kerley or other troopers on this site as it may help others. You might be surprised to find that there are a few other Sandgropers who are regulars on this site - some pretended to be Sandgropers - but I let that pass straight through to the keeper. Must be something in the water from Canning Dam that gives gropers that spread. I was raised on Canning Dam water so can vouch for the veracity of this claim. I am curious as to how you came across the Kerley story Les - it seems out of left field. Enquiring minds need to know. I'll send some Canning Dam water if you like (we can make a fortune). As part of my miltaria collecting I like to pick up named WW1 photos and research them, in a small way that helps keep their memory alive, rather than have it lost forever. Kerley's was an Ebay lot a couple of months ago. I have a few others which I am still working on,both Australian and British ( they are harder to work on due to the British record system )but most are non-light horse. Only have Cpl Joseph Duncan Hillgrove MM (686 & 821) of the 9th,who I think I sent you a photo of (or did I? )and Sgt Edward Findlater Wilson (2835) of 10th Light Horse (19th Reinforcements). Thanks for that Admin! Exactly what I wanted!